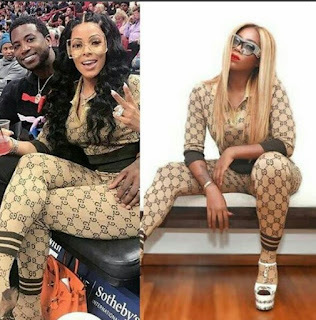 Celebrity news Who rocked it better, Tiwa Savage or Keyshia Kaoir ? Who rocked it better, Tiwa Savage or Keyshia Kaoir ? Nigeria beauty queen, Tiwa Savage was one hell of a beauty as she stylishly slayed in Gucci outfits for the Soundcity MVP awards held last night. It also turns out that Gucci Mane's wife, Keyshia Kaoir also rocked the same outfit last week and we at Jmedia Nigeria are so inquisitive as to who really murdered the outfit. Now over to you, Who slayed the look? Tiwa or Keyshia?